New Fashion Pork is once again part of the Global Mega Producers. From its beginning in 1998 a lot has changed for the company. Today operations extend from Wyoming to Indiana with International business diversity. 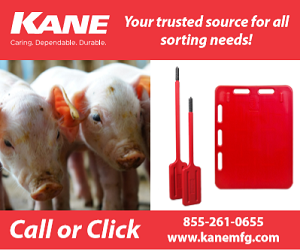 Having a sustainable strategic plan, Land/Crops, Nutrient supply and Pigs, has always been a company goal. Today 30% of the company needs are supplied within. Maintaining and achieving high health herds is also part of the plan. “You must continually be improving your plan to have success in the pork industry… Being part of the Triumph ownership group has been very important. Working with like minded owners helps everyone achieve more success”. states owner Brad Freking. 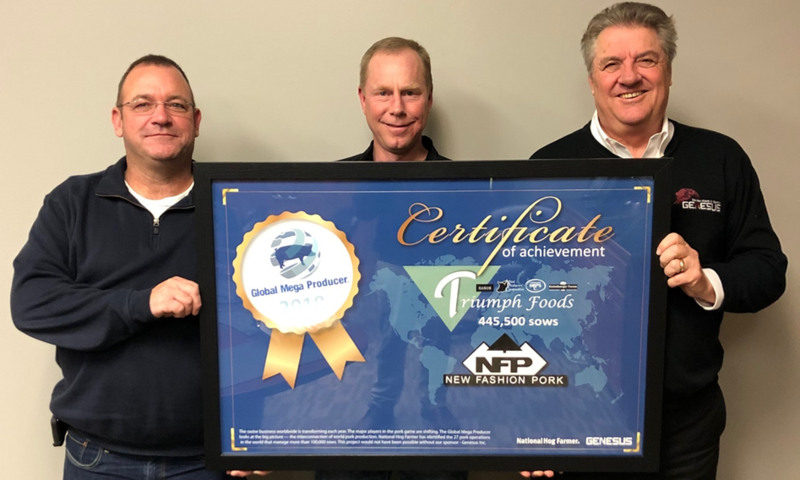 Today Triumph Foods represents 445,000 sows. The STF plant in Sioux City Iowa is now operating the second shift. Let’s congratulate New Fashion Pork for being part of the Global Mega Producers.